We love doing crafts together, raiding the craft cupboard and putting together all sorts of wonderful things. But even a crafty bunch like us do sometimes like a craft kit for inspiration and the simplicity of having every single thing that you need. So when we were approached by Trunkaroo to review one of their craft trunks that they send out as part of a monthly subscription service we jumped at the chance. 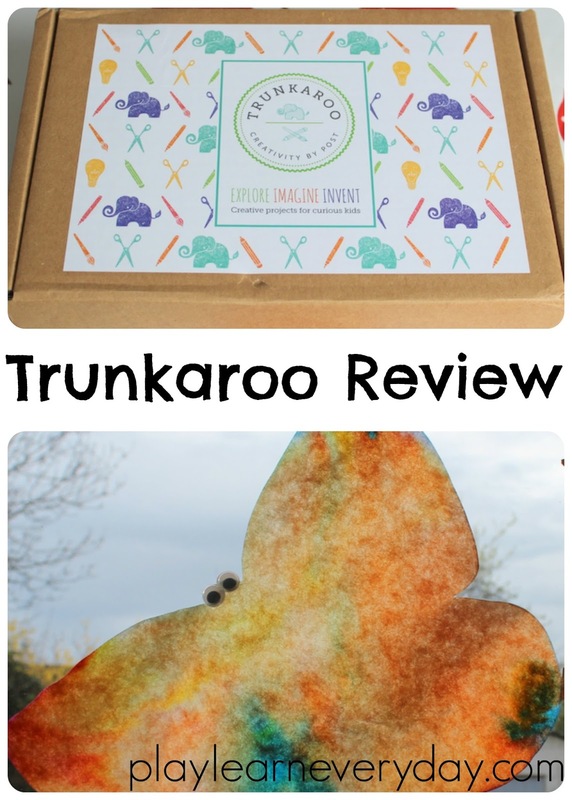 My first impression of the Trunkaroo creativity trunk was that it was very professionally made, opening up the box you immediately see that it is beautifully presented and has very clear instructions for the activities as well as all of the supplies that you'll need. The box that we received is called Curious Colours and includes two crafts that are not only fun and colourful to make but are also about the process, teaching using the STEAM principles (science, technology, engineering, arts, math) about colour mixing along the way. The first craft that we made was the Rainbow Butterflies, the materials for this included not only the cut out butterflies, markers, googly eyes and water spray bottle but also the mess mat which truly means that you have every single thing that you need. The instructions are incredibly clear and not only tell you what you have to do, but also why you're doing it and what you can learn from it. Ethan and Ivy were able to colour in the butterfly shapes in lots of different colours, then we filled up the water spray bottle and they were able to soak their butterflies and watch as the colours spread out and mixed together to form new colours. Ethan was able to predict how the colours would mix and what his butterflies would look like. The finished butterflies look fantastic, we now have them proudly on display in our windows and watch the light shine through on the rainbow of colours. The second activity is called Let's Spin Colours in which you make your own colourful spinning tops. Ethan and Ivy each got to colour in their own discs for the spinning tops in any way that they liked. Ivy scribbled all over hers, while Ethan used the suggested designs to inspire him to draw a spiral pattern on his spinner. Then they both had lots of fun spinning their spinners and watching the colours go together and try to describe what they were seeing. 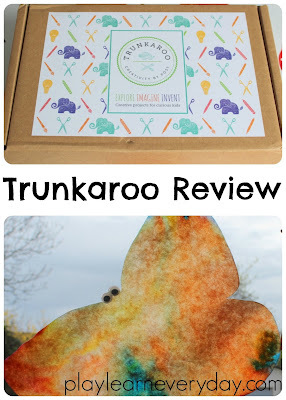 Overall we really enjoyed the whole Trunkaroo experience and were so impressed by all that was included in the box and how thorough the instructions are. 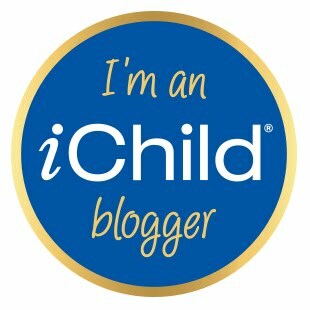 Fantastic for playing and learning at home each month. If Trunkaroo sounds like it's for you, I'm excited to be able to offer you a discount code and a chance to win one! Click here to receive your special discount from Trunkaroo. My girls love all kinds of crafts but I think painting would be their favourite. My girls love the idea of crafting! They can never properly follow my instructions LOL! But hey they are only 3 and 7! I love anything that encourages creativity in kids and I think that these kits are perfect for regular families that do not have tons of craft stuff like us! I love this kind of thing and the butterflies are brilliant, I may need to give them a try out in the rain since we seem to have so much of it. A great way to spend some time with your little ones. 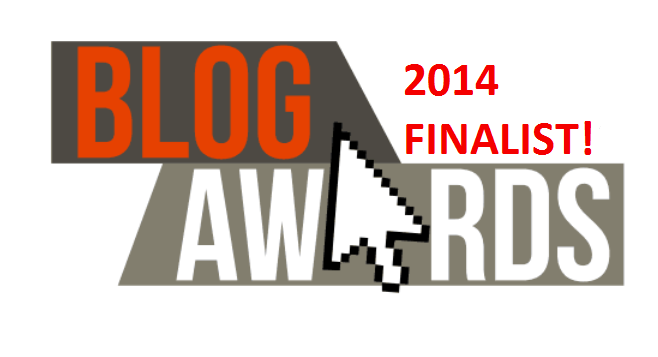 Ellie, it truly is and its also a great way to get children in to making and tinkering!